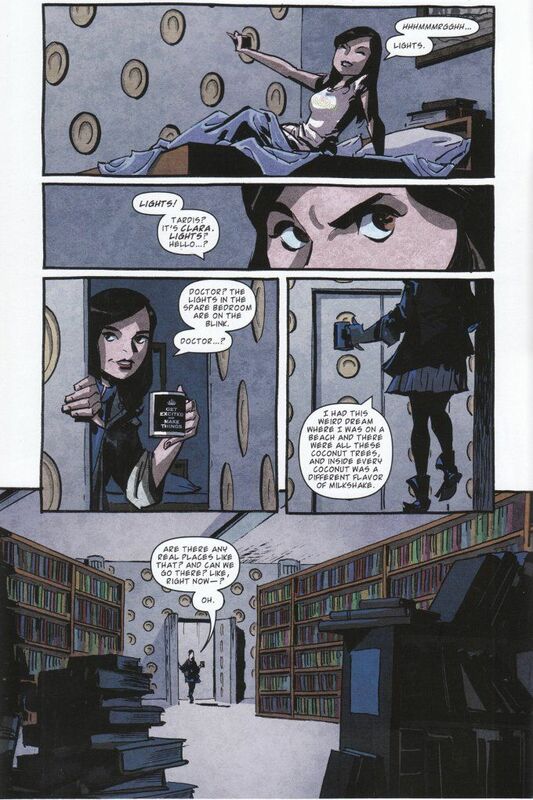 Whovians may find themselves confused at first by Doctor Who #9 - the first story in this comic series to feature Clara Oswald as The Doctor's companion. 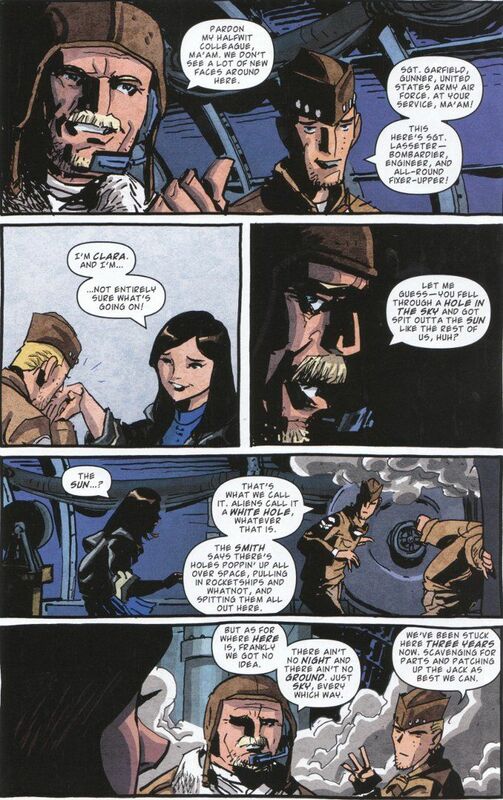 There's quite a lot here that doesn't seem to match up with what we know of Clara from the second half of Series 7. Chief among the problems are Clara's staying on The TARDIS over-night when the series depicted her only going on day-trips with The Doctor. Also, the library of The TARDIS doesn't match its' recent appearance in Journey To The Center Of The TARDIS. The artwork by Andy Kuhn is simple but serviceable. Kuhn's style is sketchy and highly stylized. Normally, it wouldn't be the sort of art I'd enjoy but I think it fits the dark and dirty setting well enough. It may not be pretty but it does set the mood effectively.